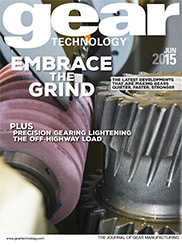 Gear Technology magazine, published 8 times per year (print or digital). 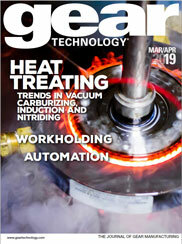 Gear Technology e-mail newsletter, published 12 times per year. Gear Technology e-mail Product Alerts, published twice per month. Special Offers and promotions via e-mail from Gear Technology's advertisers and partners. Gear Technology, the Journal of Gear Manufacturing, is known as "The Gear Industry's Information Source." Since 1984, we've published the highest quality technical articles, industry news and product information related to gear manufacturing, design, inspection, processing and use.